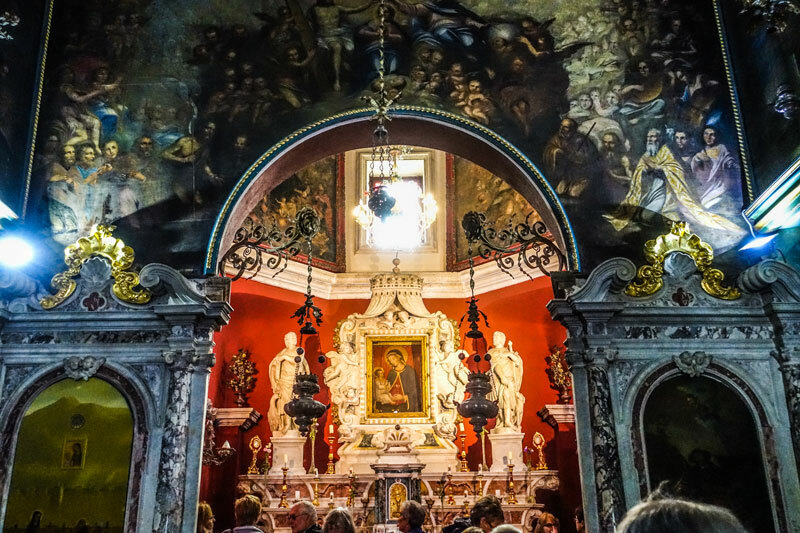 Yes, I know it’s been a while but I am finally catching up with this wrap-up of our October trip to Dubrovnik. 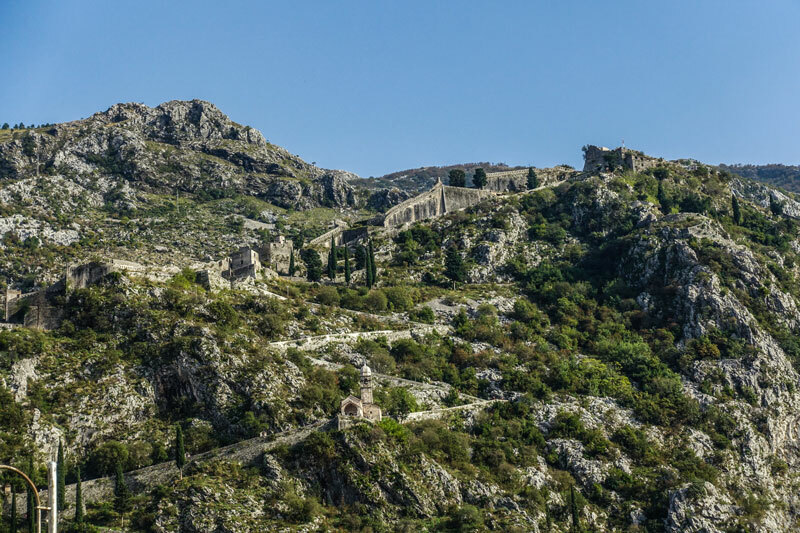 We took the opportunity to have a day in Montenegro (“black mountain”), a country just south of Croatia and a couple of hours on the bus from Dubrovnik. First impressions were of a much poorer countryside, very rural and often looking quite run-down. 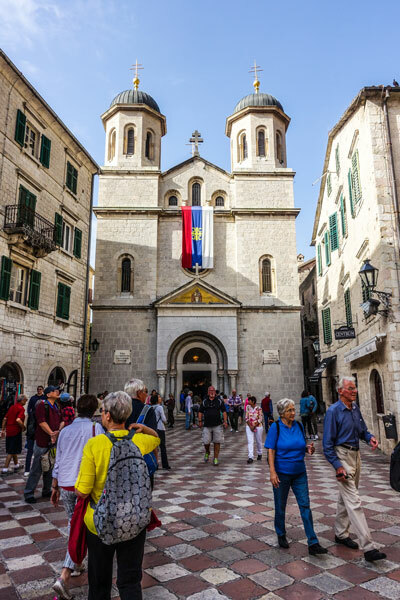 It is on the coast and hemmed in by Croatia, Bosnia Herzegovina, Serbia and Albania. 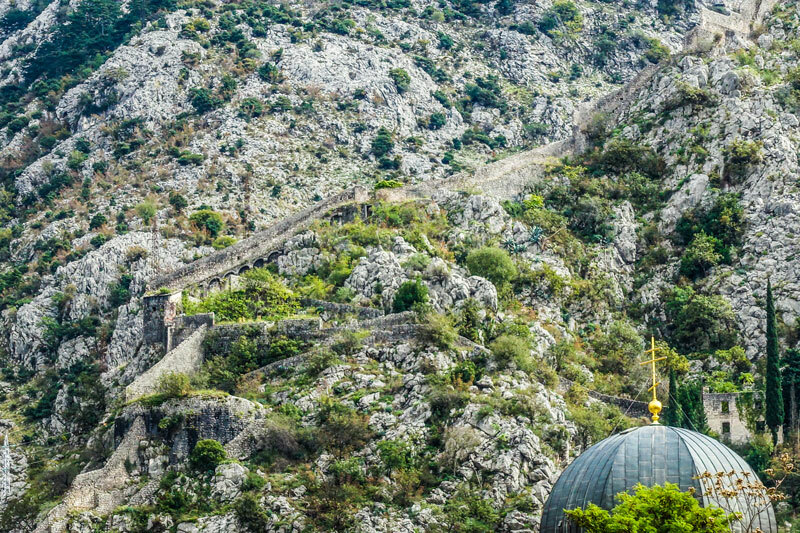 Nonetheless, it has its attractions and so we headed first for the Bay of Kotor, still part of the Adriatic but almost landlocked. You drive for miles and miles around the bays with the road very close to the sea, mainly because of the mountainous nature of the surrounding land. In fact, in places it reminded us of the Norwegian Fjords, where all the living and residing is perched right on the water’s edge because there is nowhere else to go. 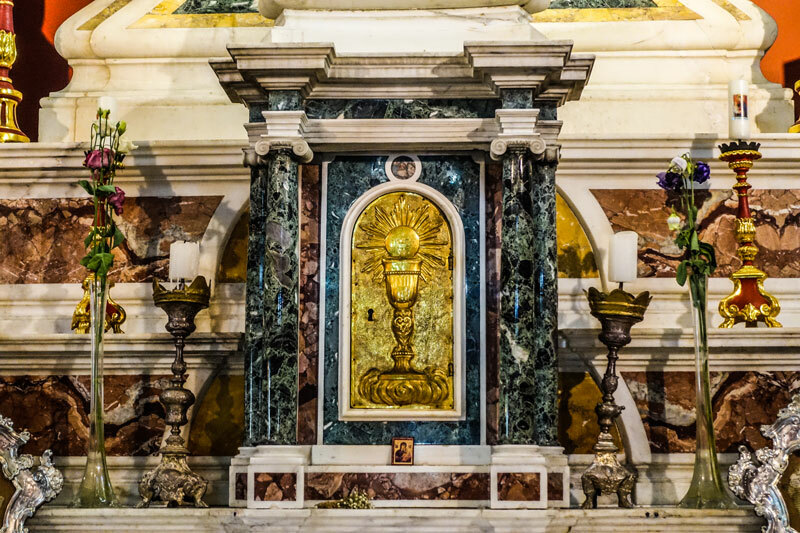 First stop was the church of Our Lady of the Rock. 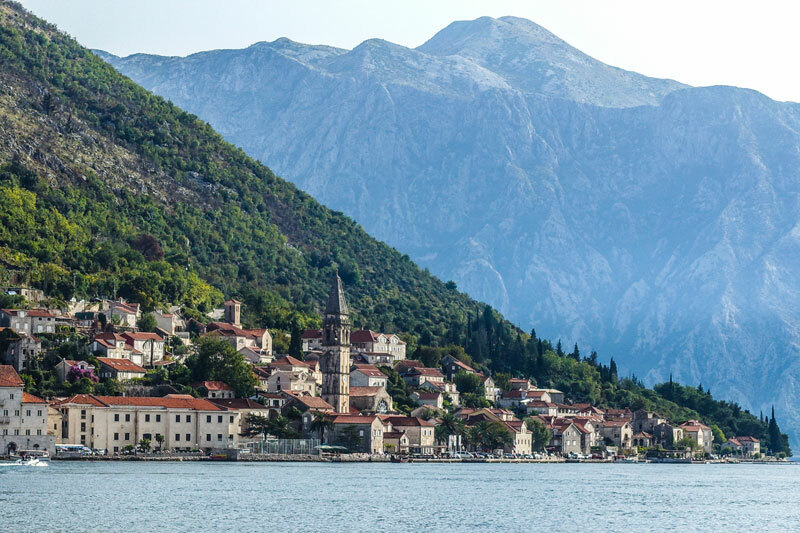 Built in 1632, it is on a completely man-made low-lying island in the bay and is reached by boat from the pretty little fishing town of Marina Perast. It consists of a 17th century Catholic church, a museum and (inevitably) a gift sho p.
Legend has it that the island was created by fishermen throwing rocks into the water after each successful trip and an annual festival keeps this tradition alive when all the boats gather to drop in yet more rocks. 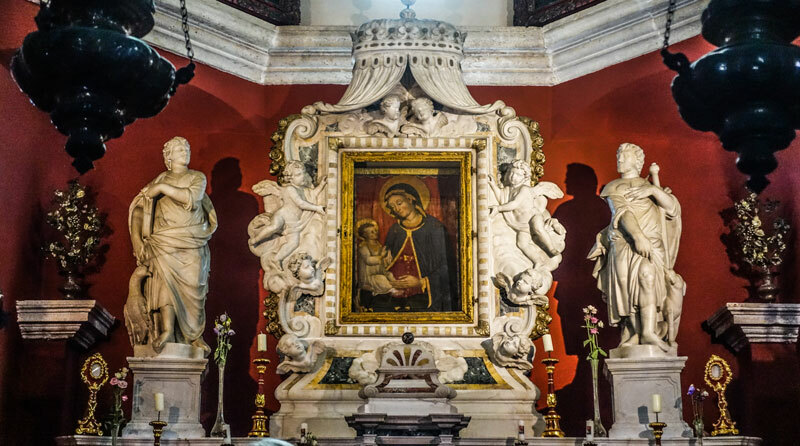 The church is typical of its period – very ornate with many individual works of art. 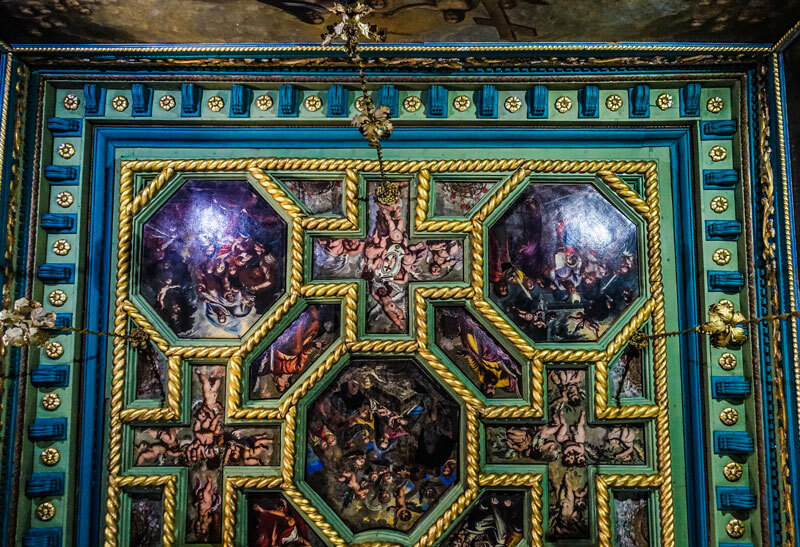 The last of these four photos shows just a small part of the richly-decorated ceiling. 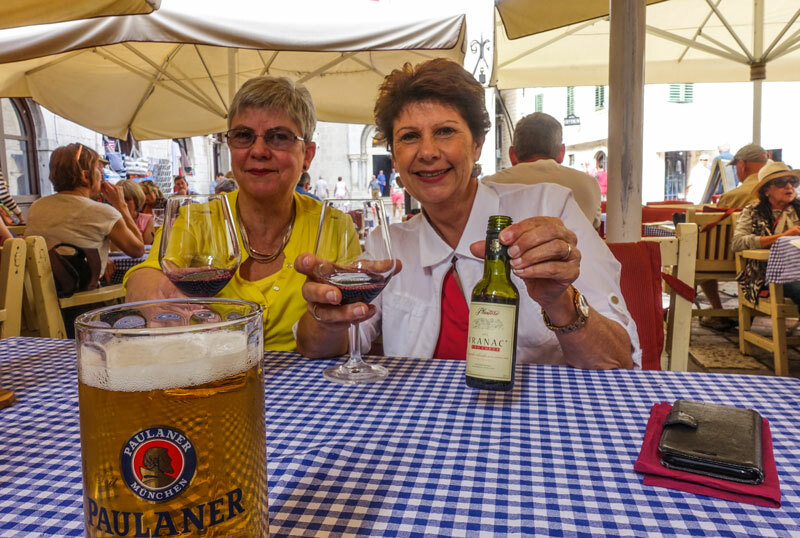 However, our pilgrimage of the food and wine trails continued unabated in one of Kotor’s many little town squares, as we tucked into excellent pizzas, beer and wine, serenaded by guitars and Italian music, followed up by a stroll around the town in the afternoon sunshine. Weirdly, Croatia, which is part of the EU, has retained its own currency but Montenegro, which is not in the EU, uses the Euro. I’m sure there’s a perfectly logical reason.